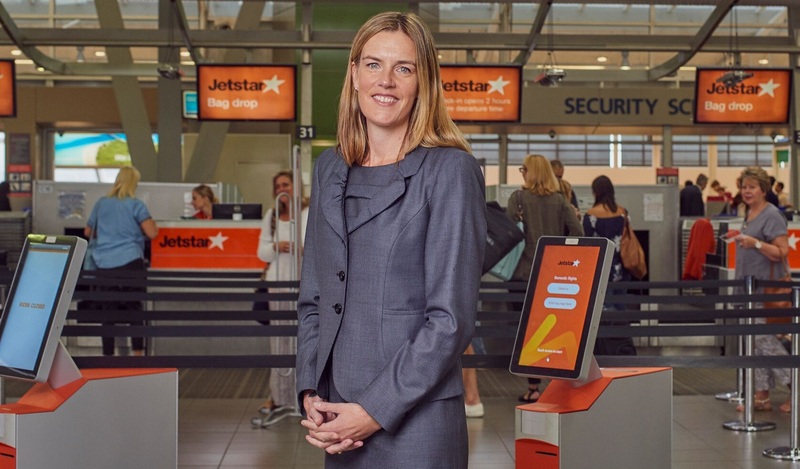 The culture of taking continuous feedback from passengers, testing what passengers would possibly like, preparing staff for the same and communicating it has made it work for JetStar. Keeping it simple enough for passengers to understand what they are paying for, the value of it and what to experience while flying tends to be missing. And this can annoy passengers as they book and opt to fly with an airline. In this context, JetStar's meticulous approach - about being simple, fair and transparent about its low-cost choice model - has stood out. This has also resulted in substantial ancillary revenue generation prowess. According to a recent report by IdeaWorksCompany, Jetstar's ancillary revenue as % of the total revenue is over 23%, and ancillary revenue per passenger is $26.92. The culture of taking continuous feedback from passengers, testing what they would possibly like, preparing staff for the same and communicating it has made it work. "Each time we communicate with our customers is another opportunity to reinforce our low fares and product choice model," says Catriona Larritt, Chief Customer Officer, JetStar. Citing an example, she says, "...when customers book directly through our website, we show them exactly how much they can save by purchasing bags in the booking flow, as opposed to at the airport." "During our 15 years of operation, we have been focused on helping customers understand our model; that we offer customers a seat at the lowest possible price and then provide them a choice of extras depending on their individual needs and preferences," says Larritt. "Those customers who want to travel with Jetstar but want more, such as meals, in-flight entertainment, extra baggage, additional legroom, flexibility of last-minute flight changes or a choice of other extras are able to do so, for a fee," says Larritt, who is scheduled to speak at the Ai's Mega Event Worldwide (Ancillary, Loyalty & Co-Brand Conferences), being held this week in Long Beach, California. Readiness of the staff: "Our frontline team members are critical to the success of our low-cost model and they undertake regular training on new products and policies," says Larritt. Jetstar has a Council made up of frontline team members from across the network who provide direct feedback on products and policies, and explore and experiment with ideas and concepts. "Our co-creation model with our airport, cabin and contact centre team members is also a huge part of what makes our ideas successful, and ensures our frontline teams understand our offerings," shared Larritt. Acting on feedback: "We listen closely to feedback from our customers and frontline teams about what products and fare/travel bundles are popular. We also undertake regular customer surveys and host research panels to better understand the pain points experienced by our customers and also to learn more about the types of products and services they would like to be able to access. We work to ensure our website and information throughout the customer journey is intuitive and easy to understand," mentioned Larritt. An example of an initiative that came directly from customers is the revamp of JetStar's booking flow for long haul international meals and in-flight experience. "The changes we implemented were based on insights and tested experience with our customers, and has resulted in an online booking experience that is easier to navigate and offers more choice," she said. "Jetstar operates to 85 destinations in 18 countries and so we have very different travellers, with different levels of experience with and understanding of LCC model. We are working hard to ensure the information on our website and across all of our operations are clear, simple and easy for customers to understand." Testing and learning: On the digital front, there is still a lot that demands attention. One of the areas is optimizing the mobile experience. For instance, relying on contextual signals, push notifications etc. – to ensure people end up buying more via mobile. At the same time one shouldn't forget the mobile commerce peculiarities of a diversified region like the Asia Pacific. "We test and learn across different regions to understand which products or services should be supported on mobile depending on the mobile take up and travel habits of our customers in different countries. "Push notifications are great for passengers in transit and allows us to highlight personalised offers that customers want to know about. In terms of integrating payments to mobile devices, we have done a lot of work on expanding payment capabilities such as Alipay to help more customers pay for their travel, and we expect that to continue across international providers," she said. There is a lot of talk around using data and also meeting trip essentials by adding non-air ancillaries. Regarding the same, Larritt mentioned, "A big focus for us at the moment is personalising our offering to be able to offer the right product through the right channel, in the right time, at the right price. Non-air ancillaries certainly represent growth opportunities and we are actively improving the uptake and yield of adjacent travel experiences such as hotel/packages, ground transport (car hire, transfers), travel insurance, activities, financial services (credit card, gift cards) and paid membership (Club Jetstar). Currently we growing and consolidating these to maximise their potential, before we consider launching other non-air ancillaries." Rather than just focusing on selling, the group has also focused on being an ally during the various phases of the journey. "Customers today expect airlines to proactively deliver real-time information directly to their device of choice, so when we think of essentials, communicating with them about their journey at key points is key. For example, providing with transparent information during the booking process, flight departure time and gate updates, and information about baggage carousels and public transport upon arrival," mentioned Larritt. "We’ve created a personalised journey from awareness, to purchasing travel, to experiencing our service and finally, keeping customers engaged when they return. And importantly, we’re re-designing the experience for customers when things don’t go to plan and their flight is cancelled or delayed, to ensure they have all the information as soon as we do, know their options and can action those." Delving on the utility of data and making the most of it, Larritt shared that JetStar recently chose to combine real-time behavioural and the historical transactional data to provide a view of customers’ past behaviour and predict potential future purchasing intent. "We’re experimenting with these datasets to predict intent to travel to Jetstar destinations and have personalised our marketing and website activities to each individual customer," she said. "Our aim in future is to understand the needs and behaviours of all our customers, so we can offer them the best possible experience for the best possible price."